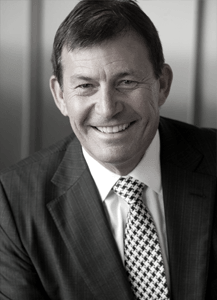 With over 35 years in property development, John is renowned for his negotiation skills and visionary insight. A prime example is his role as CEO of Villa World in 2000. Under his direction and vision, within 3 years he was able to turn their net profit from $5million to $24million – including negotiating over 50 large property acquisitions. John is often the leader in picking those sectors and geographical location that are next to become active. His financial prudence and tenacity means he has a reputation for hard negotiating which is imperative in all aspects of property development; particularly the successful acquisition of properties as well as cost management during the development phase. Phillip has been involved for over 20 years in property development and has a unique blend of creativity and discipline. On the creative side, he is known for his innovative thinking. This has been demonstrated over the years in his ability to successfully identify development sites with potential; as well as view possible hurdles and barriers laterally to create solutions in all stages of development from acquisition, development and disposal. On the discipline side, he has a high work ethic and a structured approach to development. This ensures stringent levels of due diligence pre-acquisition; tight project management post-acquisition; as well as the on-going portfolio management to maximise the potential of the assets for capital and income returns.